Extends the vase life of flowers by 80% when compared to water. 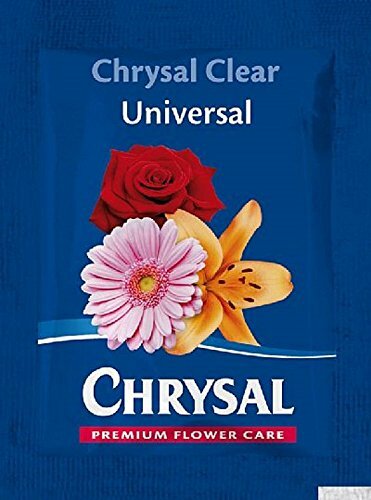 Fuller blooms,enhances scent and prolongs floral life at the consumer level. If you have any questions about this product by Chrysal, contact us by completing and submitting the form below. If you are looking for a specif part number, please include it with your message.